Styled with levant pant . 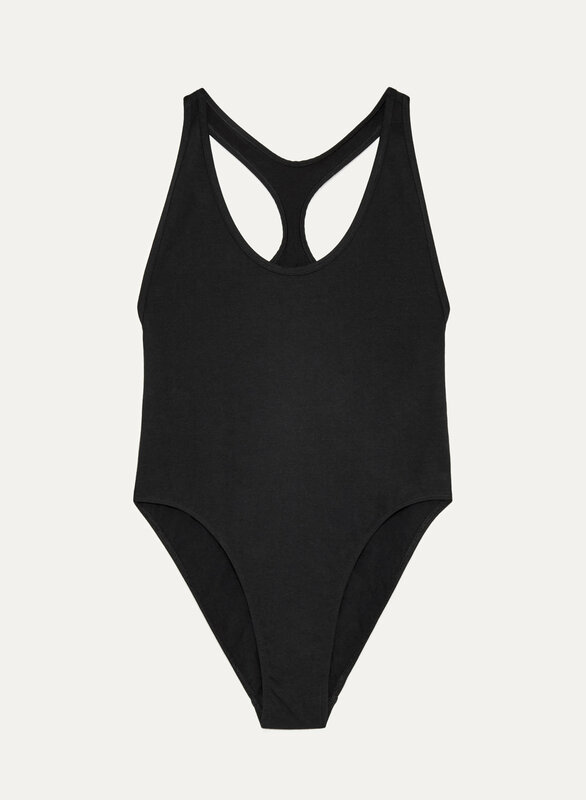 Tna's signature stretch jersey, AurantTM, makes this bodysuit ultra comfortable. The open back lets you show a little skin, while the racerback amps up the sporty feel.